Hybrid Trucks - How Would Car Manufacturers Tackle This Market? Hybrid Trucks – How Would Car Manufacturers Tackle This Market? Home/Electric Truck/Hybrid Trucks – How Would Car Manufacturers Tackle This Market? Every week we come to know about the rise in gasoline prices, this is the reason why oil prices are considered most volatile on the commodity market. The tension in the Middle East Region, the major oil producing region seems not ending that soon. Even if the tension is resolved there will be another conflict, this seems to be an ongoing process. That is the main reason that the economies of the world nations are always watchful and worried about the rising crude oil prices. Another important factor is about the impact of gasoline combustion on traditional car internal combustion engines which are responsible for emissions. Hybrid cars produced by giant car makers like Ford, Toyota, Honda, Nission etc are really making vehicles which are very appealing and aesthetic with modern designs. These cars are really cars of future and are quite efficient, economical and practical. The cars are beautiful designed both on the exterior and interior, hence are easily acceptable by the customers. However, with all the good things there is a drawback, the price which is not that appealing. Hybrid cars are quite costly as compared to other traditional automobile. As hybrid vehicles are being installed with new technology, hopefully the car prices will reduce soon. New hybrid cars use rechargeable energy storage system, also called RESS which is quite useful in fuelling the propulsion power. In some countries, hybrid cars use both internal combustion engine and an electric motor; these cars are known as hybrid-electric vehicles. 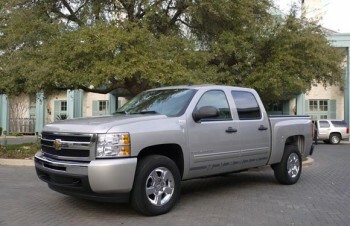 In north America, car industry experts estimated that car buyers also buy pickup trucks every year. This is the reason that the business of Ford trucks in this area is always on the peak. There are many reasons behind the purchase of such trucks, the main one being the aspect of functionality. Another reason is the masculine features of these trucks. In the United States, it is estimated that 90% truck buyers are males and only 10% are females. Since trucks are bigger in size so is the consumption of gasoline. The hybrid concept of cars has given hope not only to car owners but also truck owners as well. As raising gasoline prices has also made the life of truck owners miserably and their entire budget has gone hay wire. Since trucks are manufactured to carry heavy duty tasks, it is very important to find ways to make it consume less gasoline. The hybrid technology if used for trucks also can reduce the gasoline consumption and money spent on it. Toyota and Honda are already exploring this business sector and are trying to come out with hybrid trucks. The new hybrids technology has given an opportunity to big manufacturers to enter into the market of hybrid trucks. Both Toyota and Honda are working very hard to launch their hybrid trucks as it is to be seen how the largest manufacturer Ford will enter the market. I am certain Ford will not just sit at the site line and watch other companies entering the hybrid truck market. It will be interesting to see how this market develops in the new future.